Andy Warhol’s Factory was a world unto itself: a microcosm of junkies, cross-dressers, hustlers, artists, and weirdos with a ubiquitous soundtrack from Lou Reed and The Velvet Underground. 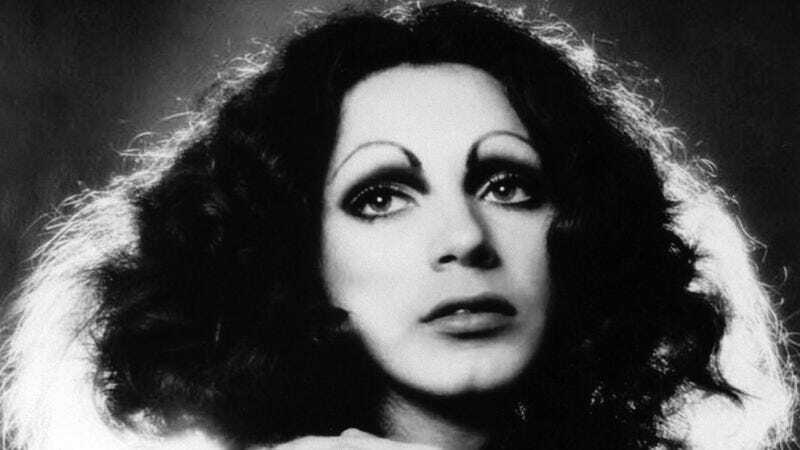 The late Holly Woodlawn—who died this week at 69—was one of the major players in this heroin-fueled world. For those who are interested in learning more, the BBC documentary Arena: Tales Of Rock ‘N’ Roll gives audiences a glimpse into the wild world of both Woodlawn and Warhol. Night Flight shared the 1993 doc to its website earlier this week. Along with Woodlawn, the excerpt below features archival interviews with Warhol, director Paul Morrissey, and superstar Jackie Curtis among others. As you’ll see, the documentary focuses on the song “Walk On The Wild Side” from Lou Reed’s Transformer album. Reed’s writings told tales of New York City through music, with many of his friends and lovers become characters in his songs and “Wild Side” is a biographical tale featuring Woodlawn as the character that “hitchhiked her way across the U.S.A” and “plucked her eyebrows on the way / Shaved her legs now he was a she.” The clip from the BBC also uses Reed’s music as a jumping off point to explore the wild side of Warhol’s New York.